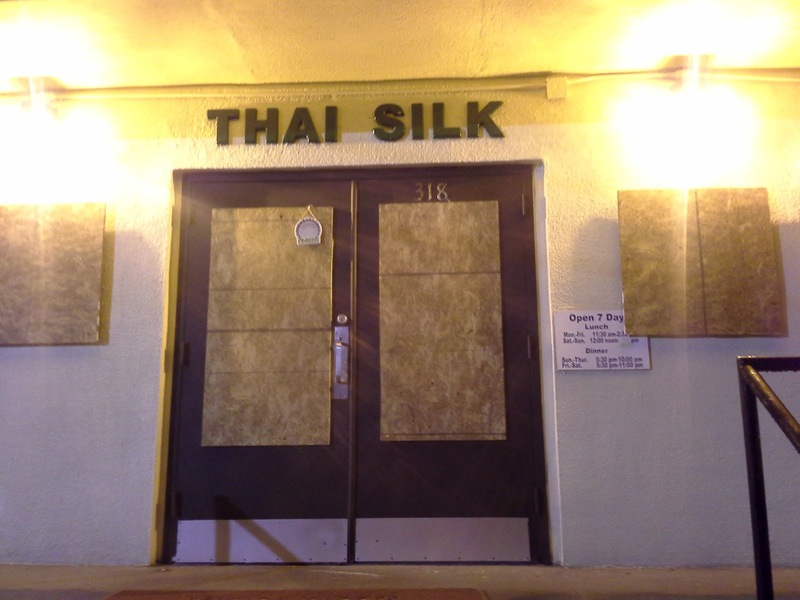 Thai Silk has closed in Buckhead. The Thai and sushi restaurant, previously known as Rama 5 of Thailand, closed a few days ago and is now boarded up. The restaurant was located on East Paces Ferry Road, across the street from the Aaron Building. The restaurant, like many recent closures, was featured on Scoutmob ahead of their closure. In the case of neighboring East Paces Tavern, they closed one month to the day after their feature on the dealsite; Thai Silk was on the site earlier this April. Obviously, from a consumer standpoint, Scoutmob is a great deal since it has zero upfront outlay, but it can be catastrophic for restaurant owners, especially independent ones. Kudos to recently opened restaurants including 7 Hens and Ali's cookies for not falling prey to dealsites like Scoutmob. Is anyone as surprised as I am that Aqua at Realm and Bluefin in south Buckhead are both still open? Are you a business owner rethinking marketing via dealsites like Scoutmob? Are you a Buckhead resident devastated by the loss of Thai Silk and are wondering where on earth you will find your favorite Pad Thai? Share your thoughts in the comment section below. I enjoy reading your blog, but your heavy-handed Scoutmob accusations are getting of annoying. There are thousands of businesses that have been on Scoutmob and not closed. It sounds likely that the places that have closed were going to close regardless of their Scoutmob deal, and that maybe the Scoutmob move was their attempt at a last ditch effort. If anything, I would suggest Scoutmob could be looked at as a potential indicator, not a cause. I understand that these deal sites are generally a bad deal for the businesses, but to suggest that Scoutmob is singlehandedly putting restaurants out of business is foolish. Businesses need to understand that these deal sites are no different than any other marketing medium, and there is a cost to market yourself. Determine your cost to acquire a new customer, and is that more or less than what Scoutmob costs you? Also, 7 Hens was on Creative Loafing's deal site, Loaf Deals about a month or two ago. I used to work for a guy & about the only nice thing I can say about him is that he knew how to make money. In regards to coupons & dealsites, his opinion is that they devalue your product & I find that I agree. Thank for reading my blog and taking the come to share your thoughts. Let me start by saying there is a significant difference between Scoutmob daily 50% off deals and so-called "handpicked." 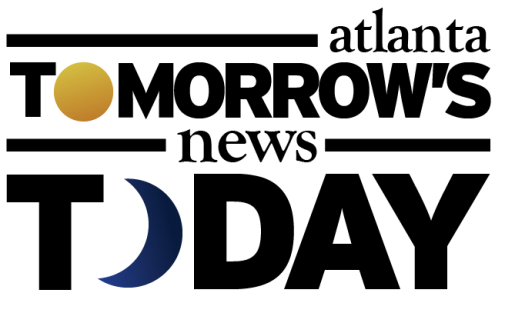 Handpicked from Scoutmob rarely offer a deal per se and are instead a cluster offer, providing an immediate sale of good or services. In the case of Handpicked, it's basically a Groupon and the vendor gets a share of the sale price. In the case of Hnadpicked, that percentage may be even better than for Groupon as the grouped "experience" is rarely a deal or a savings at all. Scoutmob's original deal, the 50% off, NSA deals are what's killing businesses in my eyes. It does little more to create "coupon hoppers" giving the business very little return business, instead bombarding them with "the mob" in the days after a deal is launched. Unlike a "handpicked", the normal Scoutmob deal is great for the consumer with zero upfront cost and terrible for the business owner. In the case of Thai Silk for instance, they are paying a few dollars per redeemed deal as well as giving 50%. In this scenario it's like being double-dipped upon, with little to show for it. I relaize marketing is key, but Scoutmob as a marketing medium seems to be one of the worst choices given the steep cost and tiny return business. With regard to 7 Hens, yes, they did offer a Creative Loafing deal. In this case however, similar to other media-run deal sites, advertising is bartered for deals and the restaurant comes out better in the end.  With CL and others, a business gets potential new customers in the door AND advertising in a publication and all it costs them is their food cost on that certificate value. No extra cost to them and this eliminates the freeloaders of Scoutmob by requiring a cash outlay at the onset on the part of the consumer. Sad about missing their chicken pad thai and pad woo sen. I'm guessing whoever bought it recently didn't have to pay that much and that it was about to close under previous owner. They didn't turn it quick enough and the health inspection didn't help their cause either. I wouldn't have gone back after reading that. Just because a biz does scout mob doesn't mean they are about to fail, but I do agree they wouldn't be pulling the trigger unless they had to. Agreed with Kevin that there are biz reasons for you to justify it as a good marketing / customer acquisition tool. Where should I get my thai now in Buckhead? I'd try Annie's Thai Castle over on Roswell Road near Buckhead Saloon. It may not be AMAZING but it may just be the best Thai in Buckhead. Let me know what you think if you make it over. I understand the disdain for Scoutmob. Anytime you see a huge influx on a dining spot that is used to doing 1/3 of the business, well it makes it hard for all to handle. This would include the kitchen, the wait staff and the bar(if site has one). Correct me if I am wrong Atlanta99, but what we are consistently seeing are struggling restaurants running these promos and then not being able to handle the servicing of that new influx of business. Yes, for the most part that is a true. Restaurants like Farm Burger for instance have not participated in any deal site, Scoutmob or otherwise and instead just have an already affordable product and great service, therefore eliminating the need for dumb gimmicks. The rush of deal hungry patrons, many of whom are unlikely to return to the restaurant after the expiration of the deal are a big problem. The is no denying the use of traditional marketing is better in some cases, and this being of them I believe. The ROI simply can't be there in many cases and for that reason I think Scoutmob contributes to failed restaurants by potentially misleading business owners as to how much a deal will cost once the deal is done and that fat check for thousands of dollars has to be written to the mob. I enjoy reading the site, but agree that the Scoutmob bashing is getting a big much lately. If Scoutmob was so bad for businesses, why would places like Cook's Warehouse repeatedly sign up for their deals? Is Cook's Warehouse on their last legs? They seem to be doing OK to me. And I don't see Zesto's on Ponce going anywhere anytime soon and they have a recent Scoutmob deal. And didn't Pizzeria Vesuvius just reopen after you thought they were gone for good? Likely why they went with a Scoutmob deal to get the word out that they are back in business. I agree that it can cost a business more than they thought in having to pay to play and then give a discount on top of that, but it does bring in a lot of new diners and potential regulars. I know I've become a fan and have started frequenting restaurants that I only visited in the first place because they were on Scoutmob. It is a gamble and sometimes it works and sometimes it doesn't, but that's marketing. Don't see how it's too far different from a restaurant week/prix fixe menu. Scoutmob is a way to introduce your menu to wider masses, not just a portent to your Deathwatch. More people read Scoutmob's content sections than this blog. As a result tonetoatl is bitter. Is that right? Seems like it. I question your judgment if you think Loaf deals is better than Scoutmob. Scoutmob has one of the best brands of any company online nowadays and their voice is crazy engaging. Bottom line is Scoutmob won't save a business but they've propelled 95% to great years and less than 5% don't end up making it. Talk to Fab'rik or Lenny at Noodle - they freakin' love the service and will work with them forever. It seems to me that Groupon would be more suspect than Scoutmob. At least they offer the struggling restaurant the chance at a quick injection of cash following the sale of the coupons. I'm confused, you're saying Groupon is better or worse than Scoutmob. I think the influx of cash, albeit less than full retail, would be a good thing versus a cash dump to the 'Mob. I do know that sites like Groupon generally give about 50% of a deal cost back to the restaurant, but I don't know how much a restaurant pays Scoutmob per redeemed deal, so I guessed $5 (which seems like it might be high). As you can see in my scenarios, the actual cost of acquiring a customer is * significantly less* using Scoutmob than other deal sites (unless the customer spends very little, and my Scoutmob fee is correct). The key is, while Scoutmob offers a 50% discount, it is rarely ever over $15. A lot of them are only $8. So a $35 Groupon for which the restaurant gets $8, costs the restaurant $27. 1) Yes, a restaurant has to pay actual cash to Scoutmob, whereas there is no physical outlay of money to sites like Groupon. But money is money. At the end of the day, if I have $35 from a Scoutmob customer, I have $12 more than Groupon customer, so I have the $5 to pay Scoutmob. When you look at the balance sheet at the end of the day, you're still in better shape from Scoutmob than Groupon, et. al. 2) I would argue that coupon customers are equivalent, and the % repeat visitors from Groupon is similar to that of Scoutmob. The one variance is sheer numbers. A Groupon deal may get 1,500 buyers whereas a Scoumob deal might get in excess of 3,000. But I don't know average numbers, only what I had seen in the past when Groupon and Scoutmob used to publish the number of deals bought or redeemed on each deal. The last variance is "unused deals". With sites like Groupon, a certain percentage of people who buy, won't redeem, which turns into 100% profit for the restaurant. I don't know the average percent of those to try to come up with a dollar amount to spread across the per customer cost/profit to a restaurant from Groupon. Thank you for your discussion on the topic (sorry it derailed from the Thai Silk discussion). I find it very intriguing since I see/hear many people talking about what a bad deal it is for businesses, yet I still see deal sites having no problem offering numerous offers per day, and a lot of repeat businesses on the deal sites. Thai Silk didn't close because of Scoutmob. Thai Silk closed because they failed both their health inspection and their reinspection. "Owner refused to sign because upset about failing again. When advised that the options were voluntary closure to raise score or court, he advised that he will close the facility for good." Remarks Owner refused to sign because upset about failing again. When advised that the options were voluntary closure to raise score or court he advised that he will close the facility for good. Strange, I dont' see Scoutmob mentioned a single time....I get that you don't like Scoutmob for whatever reason, but let's not be intellectually dishonest here. I am a restaurant owner in Atlanta, and have been on Scoutmob for 16 months.. I like the service for many reasons: 1) they offer a one time deal to new customers and regulars. The point here is that my regulars will use their deal within the first 3 to 5 weeks. This is my way of me giving back to the people that have supported me over the years. All my regulars always spend over and my discount with them is around 25%... not bad. When I did a Groupon is was around 75%.. 2) Scoutmob is 1/4 of the cost... 3) I still average around 500 tables a week off Scoutmob.. all of these people are brand new to my restaurant. Show me another site or coupon that does this... With their model I might make 5% profit, 10% profit, 20% profit....etc... but it is always a profit. Why..... because they wouldn't have been there if it wasn't for Scoutmob. I think you missed the point with your attacks... they should be at bad operators.. not a tool that drives business into you restaurant.. I have always made sure that I give a good product, service, and a have clean atmosphere. If you have these things, people will come back regardless of how they got there on their first visit. the actual percentage of restaurants that fail is 57%-61%... and it isn't because of Scoutmob. Were you fired from Scoutmob? Seems like you have a lot of hate for them.. just saying. Really, shut up about ScoutMob. They use geolocation so you can find deals close to you.